The one thing I will be keeping a closer eye on though are that some buds are showing elongated shapes. 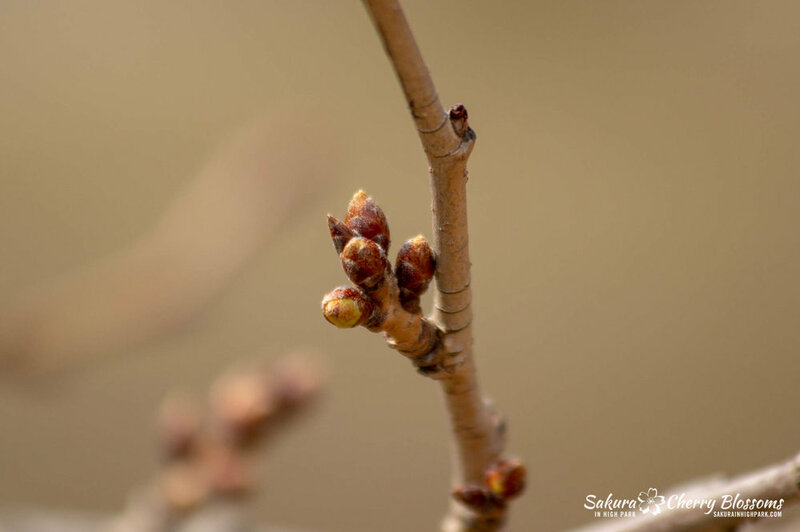 If they aspire to the same trend we saw in the failed spring 2016 bloom, then those buds may only go to leaf. It’s still a bit early to say for sure as sometimes those buds also flower, but a few more visits will confirm which they will produce. One point of concern is there is now a pending ice storm to hit the city this weekend. 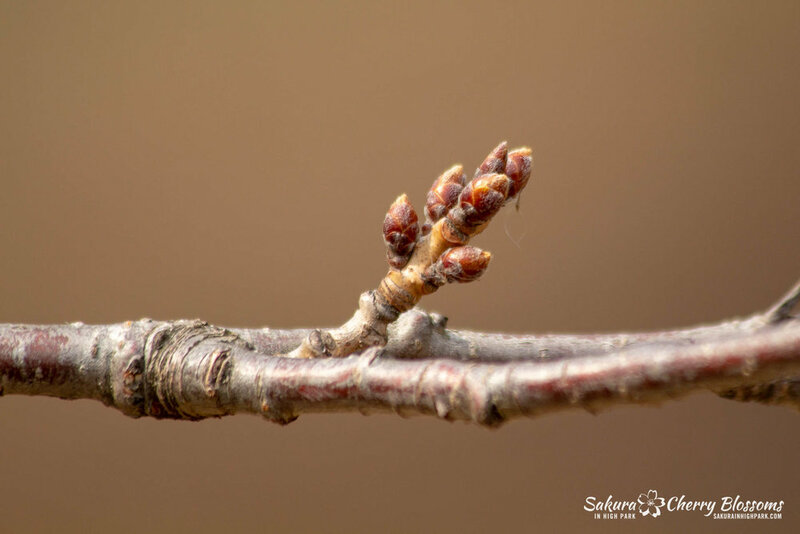 The buds themselves are pretty closed up and should be well protected from any potential damage to the delicate blossoms inside. The more significant concern is to the branches and trees themselves where the weight of built-up ice could be likely to cause them to break off, thus diminishing the chance of those buds to flower. Fingers crossed the next visit will prove otherwise! More visits in the next couple of weeks should better set the stage for what to expect and when. Stay tuned for more updated soon!